It is no secret that we face major environmental problems as climate change is increasingly evidenced by the weather, natural disasters and changes to nature’s many ecosystems. There are many drivers of climate change but one of the most significant are the ways we feed ourselves. Part of this is driven by supply chains, which see us growing crops in one part of the world and transporting them long distances to other parts of the world. This environmentally unsustainable practice was part of our drive behind investing in Infarm. Another major contributor to climate change is the vast industry of meat and dairy production — cattle put huge volumes of CO2 into the atmosphere and the way we feed cattle is contributing to the increased amount of antibiotics found in our water supply systems. Furthermore, meat-heavy diets (particularly red meat) are linked with heart disease while providing limited nutritional diversity. More recent research shows that there is also a clear link between nutritional diversity, our microbiome (the bacteria in our guts) and our chance of living a long and healthy life. We believe that scientific evidence of the advantages of a more plant-centric diet is irrefutable. Moving from a meat-centric to a plant-centric diet will not only have profoundly positive environmental impacts but is also the most healthy approach to living and preventing many diseases prevention. My 17-year old daughter is already waving the vegan flag and the rest of our family (well maybe not my 15 year old son yet..) are quickly catching up. 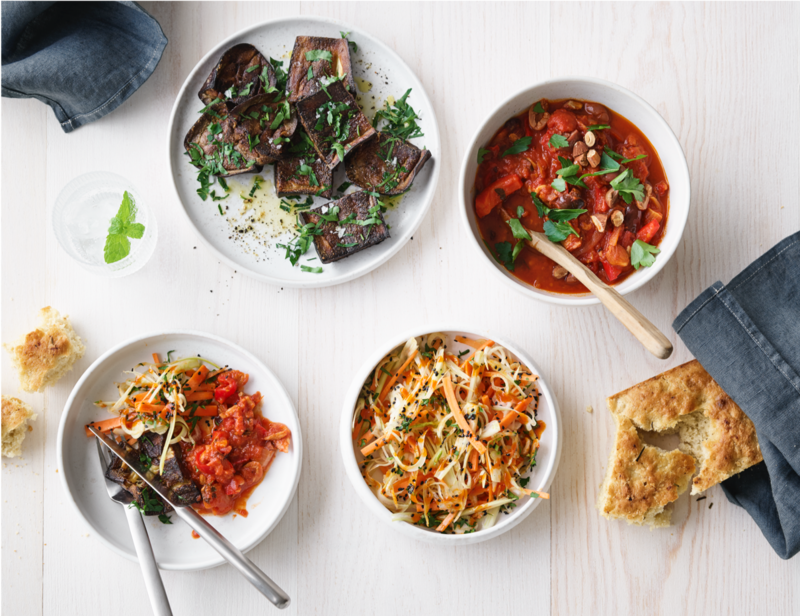 Hence, we are delighted to be announcing that we have led the Series A investment in Simple Feast, a plant-based meal delivery service based out of Copenhagen. Simple Feast was founded by repeat entrepreneurs Jakob Jønck and Thomas Ambus, who my partner Lars introduced me to when they were at the start of the Feast journey 3 years ago. Jakob, Thomas and the rest of the Feast team spent the intervening time refining how to bring the very best, nutritious and healthy meals to consumers. And we enjoyed sampling the different incarnations of the product during the many times we met up — due diligence was never tastier! They have found product market fit and the product is receiving an incredible reception from the Danish market (not only from millennials who are very aware of the environmental and health benefits but also by older customers who want to explore plant-based food but are uncertain of how to bring great meals into their kitchens), the first of many geographies they will launch in. While there are many ways of getting a high quality nutritious meal conveniently prepared for you (visiting a restaurant, having it put in a box and on the back of a bicycle and delivered, getting raw ingredients and following a recipe from a meal-kit service etc) we believe Simple Feast have cracked the ideal solution marrying quality, convenience, home-eating and doing so in a way that has far superior unit economics compared to some of the aforementioned alternatives. They provide a weekly box of meals that are delivered “almost ready” — this is only possible because of their team of chefs and food scientists are able to devise recipes that can be largely prepared in the Feast kitchens but that can be sustainably packaged and survive being transported to consumers without impairing freshness and taste. The consumer just has to spend around 10 minutes completing the last stages (mixing some ingredients, heating up some items) and the result is a truly fresh, tasty, high quality plant-based meal. Feast are on their way to building a digitally native, mission-driven, brand with their own supply chain, uniquely high quality product that addresses increasing consumer demand for plant-based meals and doing so with strong unit economics and the plan to go global. Coupled with an extraordinary founding team, this is exactly the sort of company that we at Balderton are excited to be a part of and we look forward to supporting them alongside our co-investors at 14W, Sweet Capital, ByFounders and a very strong group of business angels. Last, and very much not least, it is with great pleasure to add that Sam Myers, who has been an invaluable part of the Balderton investment team focussed on the Nordics, has joined the Feast team.